All hikers using our facilities must make reservations in advance through the Camping Services Office by calling Chris Wetzel at: 443-573-2523 or email at cwetzel@baltimorebsa.org. Once on the Reservation you must file a “Hike Plan” with the Campmaster or Camp Ranger at check-in. All camp trails are marked on the Broad Creek map. Large paper copies are available for purchase at the Broad Creek Camp Store for $1.00. Broad Creek offers more that 26.5 miles of blazed trails that will entertain as well as challenge the hiker. There is a wide range of both hilly and flatland terrains to travel. Hikers who want a challenge and are interested in learning about the trails they hike can earn the Broad Creek Hiker Award. The Broad Creek Hiker Award booklet is available at the camp trading post. 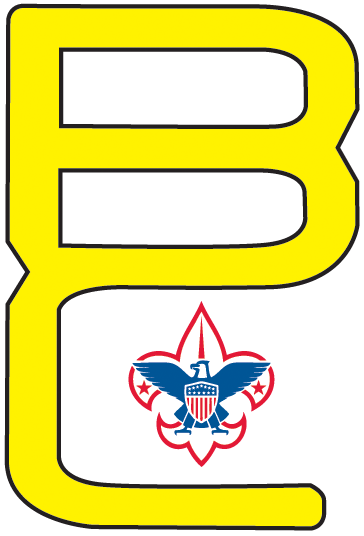 Once completed, a recognition patch can be purchased at the Broad Creek Camp Store. For those interested in backpacking, wilderness outposts are available for use in the outer areas of the property. Hikers and backpackers seeking a challenge can start on Broad Creek property and hike the Mason-Dixon Trail. This trail cuts through part of Broad Creek, and runs both east and west from the property. Campers using the facilities are invited to learn about and earn the new “Leave No Trace” program award. This program is being run by the BSA along with the National Park Service, and involves learning how to improve your camping skills and properly care for our wilderness environment. Once the requirements are completed, a recognition patch can be purchased at the Broad Creek Camp Store.